Tennessee’s Achievement School District (ASD) was modeled on Louisiana’s Recovery School District (RSD) but has forged its own path that offers useful insights for other states. The ASD has focused its effort on Memphis, which has the state’s highest concentration of low-performing schools. 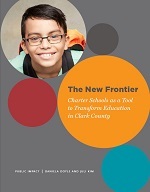 The ASD has collaborated with high-performing charter operators to conduct school turnarounds in neighborhood schools; collaborated with philanthropic leaders to build a sustainable educator talent pipeline for the bottom 5 percent of the state’s schools; engaged neighborhood communities in the process of matching charter operators to schools selected into the ASD; and influenced district-led turnaround efforts. This case study, commissioned by New Schools for New Orleans and the Achievement School District, examines how these and other ASD’s strategies have resulted in a state turnaround school district distinct from the RSD. 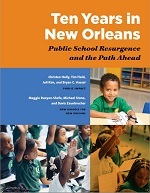 Marking the 10-year anniversary of Hurricane Katrina, this report describes the transformation of public education in New Orleans and considers needed improvements for the next decade to create an excellent system of public schools in New Orleans. The report highlights how the shift to a decentralized system of public charter schools combined with a relentless effort to replace failing schools has produced remarkable gains in student academic achievement and fundamentally changed the role of government in education, the local labor market for educators, and the relationship between New Orleans communities and schools. The report also considers how the pace and magnitude of change presented many challenges to parents, educators, and community members, and discusses what needs to happen next to propel the city to even higher levels of achievement. After several unsuccessful turnaround efforts and years of chronic low performance at Cameron Middle School, Metropolitan Nashville Public Schools (MNPS) decided to try something different to dramatically improve student outcomes: gradually convert operation of the school from the district to a charter management organization. 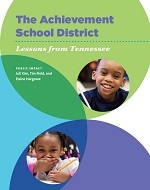 This 2014 report for MNPS tells the story behind the conversion, evaluates its successes and challenges, and extracts lessons learned for MNPS and other districts working to build their capacity to better support their lowest performing schools. The report, prepared by Daniela Doyle and Tim Field for NewSchools Venture Fund, explores a variation on school closure where a charter school’s operator and governance (board) changes, while the school continues to serve the same students — charter school “restarts.” The report examines how charter restarts fit within the larger context of charter school quality and accountability and describes how restarts have played out at five charter schools. It concludes with a series of recommendations for board members and charter authorizers interested in pursuing a restart strategy.